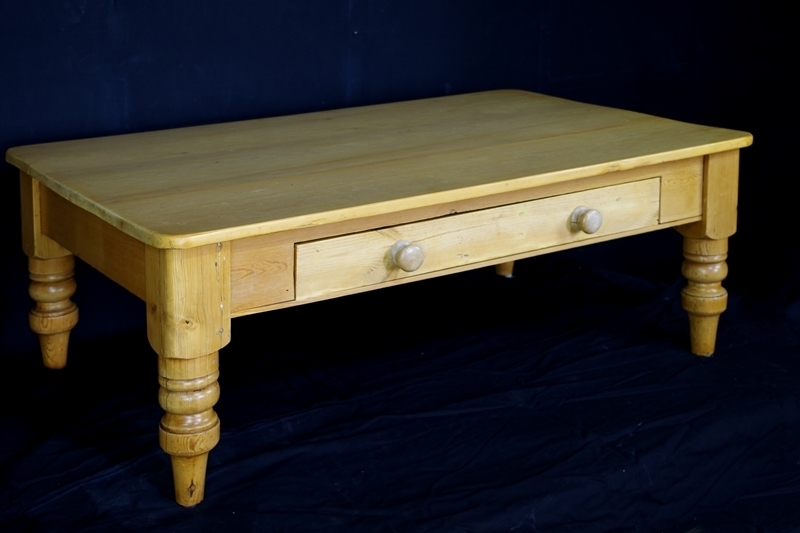 An antique pine farmhouse kitchen table, re-purposed as a large coffee table. One drawer to the longer side and turned legs. 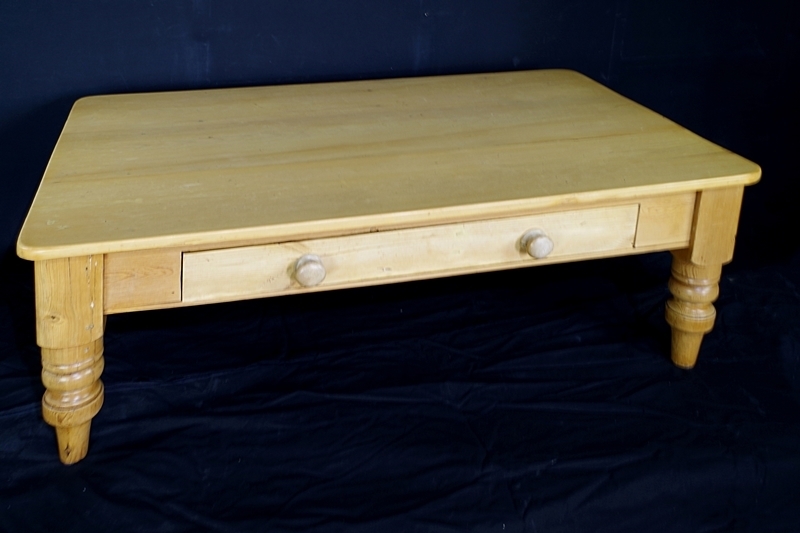 Our client James asked us to supply him with an interesting pine coffee table with a drawer in one side. 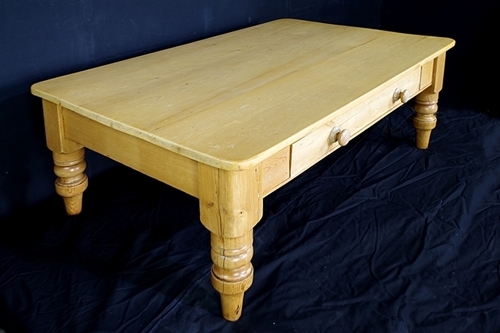 This farmhouse pine table has had sections cut out of its legs to turn it into a coffee table. We thoroughly prepared all the table's surfaces then applied three coats of water-based satin varnish. Please visit our Custom Orders Page to discover how you can get the furniture item you've always wanted!